Despite the fact that The Witcher 2: Assassins of Kings senior producer Tomasz Gop isn't with CD Projekt RED anymore, we managed to catch up with him before his departure for a quick post-release interview about the game's reception, sales figures, DRM-free nature, future modding support, and more. GB: How does it feel to see The Witcher 2 released and know that gamers all around the world are finally getting to experience the game after nearly four years of development? Tomasz: As you can surely imagine, we are very happy that The Witcher 2 has been released so gamers around the world can see what we have been working on. We believe we have created something truly different and special. Of course, it's up to the players to judge for themselves, so we're also very pleased that the initial feedback from them and also from the game media has been highly positive. And naturally, we would all love a few days off. GB: We know that well over 100,000 copies of the game were pre-ordered, but what sort of sales numbers are you seeing since the game's release? Are the numbers meeting your expectations? How does the sequel's sell-through rate compare to the original game's? Tomasz: We're glad to tell you that the final pre-order total was over 150,000 units, which is one of the highest numbers in recent memory for a PC-only game. The sell-through figures so far have been very satisfactory. GB: How scary was it to go DRM-free with the Good Old Games version of The Witcher 2? Was it difficult to convince Atari that releasing a copy devoid of any DRM would ultimately be a good decision? Tomasz: The CD Projekt group of companies does not believe in DRM. We believe that if we treat people properly, they will treat us the same way. So the decision was not scary at all. Atari's first reaction was along the lines of (Guys, you're crazy), but we think things worked out in the end. GB: Studios often times find it necessary to cut features and content from a game in order to meet budget and time constraints. 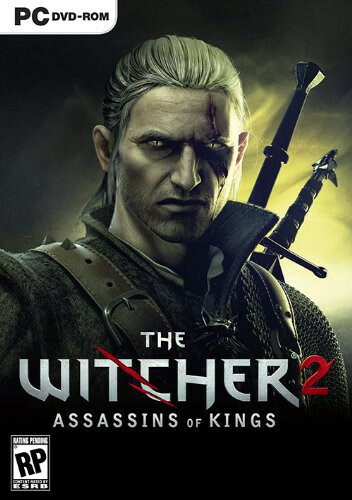 Is there anything you were forced to cut from The Witcher 2 that you would have preferred to flesh out if time and money weren't an issue? Tomasz: It's hard to answer hypothetically because time and money are always considerations. If they weren't, no game would ever ship because there's always room to improve, add and polish things. One possibility that comes to mind would have been to make the game even less linear. In practice, we did the best we could to balance two desires - making the game even better and getting it into players' hands. GB: Beyond the Troll Trouble DLC, what other downloadable content are you working on for the game? How many add-ons do you intend to release for it, and have you decided whether or not you'll pursue a full-on expansion pack? Tomasz: As you might expect, since we plan to release our DLCs over time, our basic plan is to announce them individually. What we can say right now is that we have a couple more coming within the next few weeks, and also that we will have more after that. And they will all be DLC 4 Free, meaning no charge to registered users.